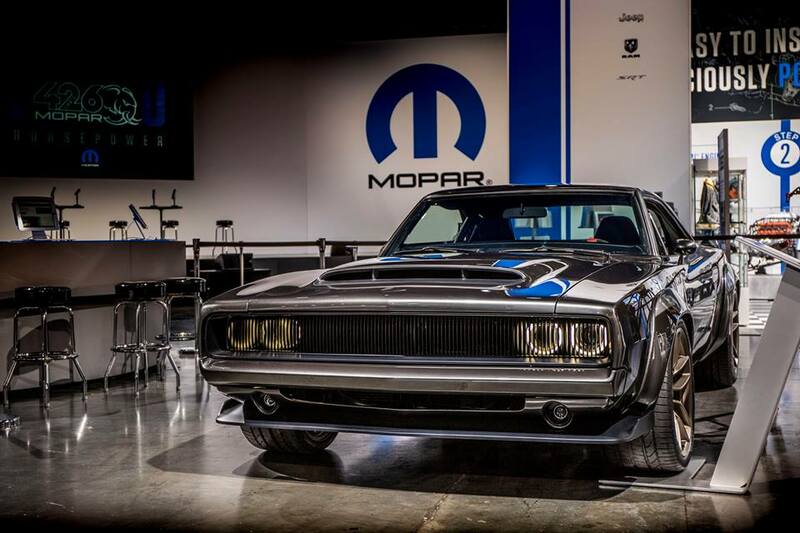 A new study shows that Dodge earns the most love from Facebook members. 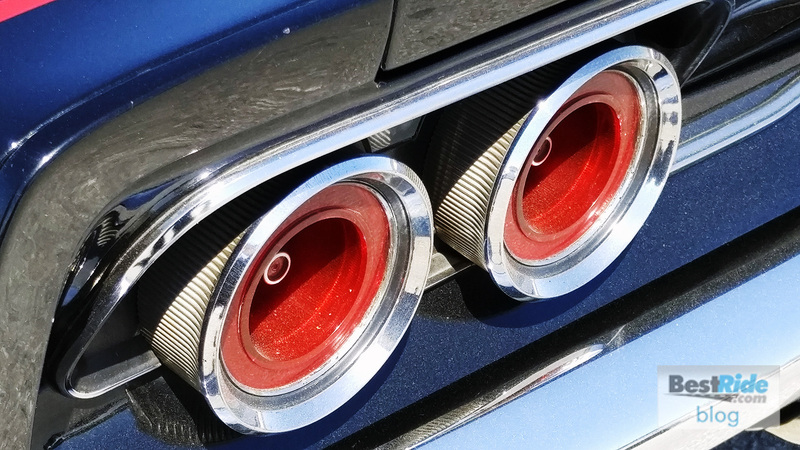 A new study by Crisp finds Dodge to be the most loved automotive brand on Facebook. Crisp scrutinized 19,846 Facebook posts published by the top 50 automotive brands to see which had the strongest positive reactions. During 2018, Dodge created just 408 posts which earned 461,187 “loves.” A “love” is the little red heart you can click instead of the blue thumbs up called a “like.” This beat out the number-two-most-loved brand, Mercedes Benz. Dodge is a relatively low-volume poster on Facebook. Many competing brands posted twice as often, yet they earn fewer love reactions. – Looking for a great new or used vehicle? Start your search at BestRide.com. We rarely do stories about automotive promotion at BestRide, but readers may recall that we did a focus story on the “Jolly Fatman” promotional video series this year. 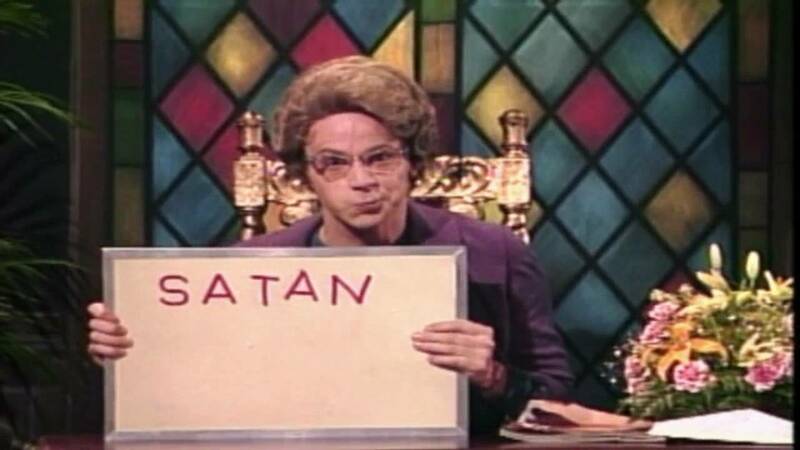 We loved it for its snarky irreverence. 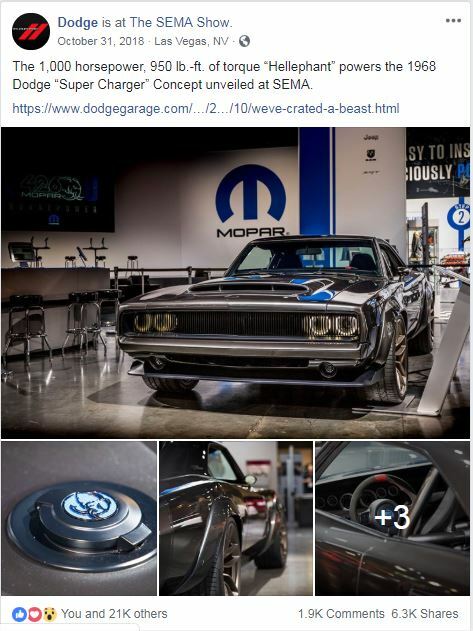 While we have no lack of faith that Crisp’s analysis of Dodge’s Facebook love, we were curious to see if we could get some sort of confirmation that Dodge is indeed loved beyond typical automotive brands its size on Facebook. We looked up a handful of specialty brands and took note of how many people have “liked” the brand’s page. 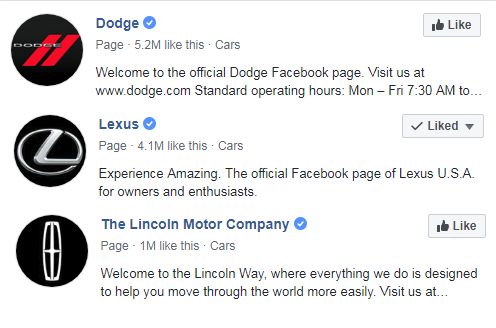 We found that Dodge’s page had 5.2 million “likes.” By comparison, Mercedes-Benz USA had 4.5 million likes, Lexus had 4.1 million, BMW USA had 2.6 million, and Lincoln had 1 million. Among specialty brands, Dodge indeed has a very strong following on Facebook.